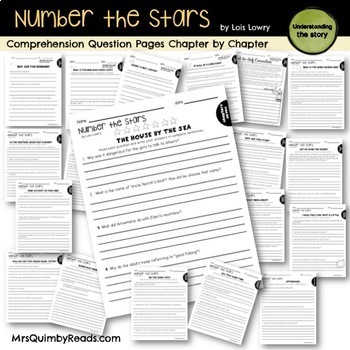 This complete and engaging literacy unit for Number the Stars [ by Lois Lowry] will save YOU time and engage your students in a meaningful reading experience. 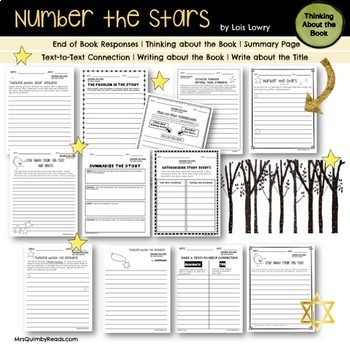 Reading responses, graphic organizers, comprehension questions, vocabulary, writing about reading, character traits, pre-reading pages and questions, end of book "thinking questions", learn historical facts for World War II that help the reader obtain a deeper meaning in the author's important message ! What focus skills are included in this teaching resource? Why do teachers think reader responses are a good idea? This book is an important book teaching the about the times and life in Denmark during World War II. Lois Lowry is a masterful writer and writes this book for young readers to know about and feel about these most difficult times and events in our history. You will be able to use these pages if you decide to do a read aloud with the book; or if you assign the book for independent reading. 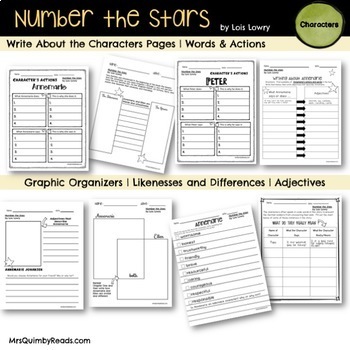 These writing pages will help readers to learn reading strategies, word study and writing skills. 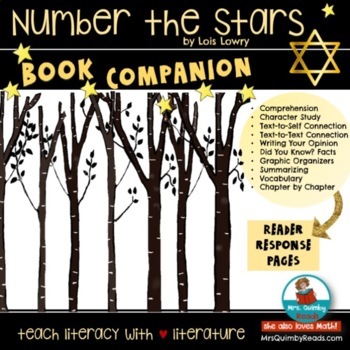 Thank you for previewing this teaching resource. 5 Back-to-School Teaching Resources to find NOW to help you with the first few weeks of school! Growth Mindset Posters - Bright & Colorful - Inspire! Learn! Grow!